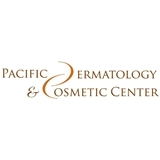 Pacific Dermatology & Cosmetic Center (Seattle) - Book Appointment Online! Founded and directed by Dr. Jennifer Reichel, Pacific Dermatology & Cosmetic Center is a medical and surgical dermatology practice with a focus on the treatment of skin cancer. We also specialize in surgical and non-surgical rejuvenation of the aging face and body. Our mission is to offer medical excellence in the treatment of skin cancer, all general dermatology conditions and elegant medicine for facial and body rejuvenation. All surgical procedures are performed in our state-of-the-art AAAHC and Medicare approved ambulatory surgery center. Our physicians, Dr. Jennifer Reichel and Dr. Laurie Jacobson as well as our Physician Assistants, Andrea English and Kelly Stevens are highly experienced, companssionate and committed to excellence. Compassion, efficiency and professional patient care are the most important objectives of our clinic. Reception was friendly, nurse and doctor were super personable and helped me feel comfortable during the visit. Exam didn’t take long and had a skin tag removed and the whole process was easy and painless. Thanks!